Japanese US Open champion Naomi Osaka ground her way into an Australian Open quarter-final with sixth seed Elina Svitolina Monday ahead of Serena Williams facing her biggest tennis test since giving birth. As the second week of the opening Grand Slam of the year got underway, fourth seed Osaka was still standing after emerging from an error-strewn first set against crafty Latvian Anastasija Sevastova to win 4-6, 6-3, 6-4. The victory left the bubbly 21-year-old with a last-eight clash against ambitious Ukrainian Svitolina, who battled past American Madison Keys 6-2, 1-6, 6-1. It will be a new experience for whoever wins that showdown, with neither of them going beyond the quarter-finals at Melbourne Park before. 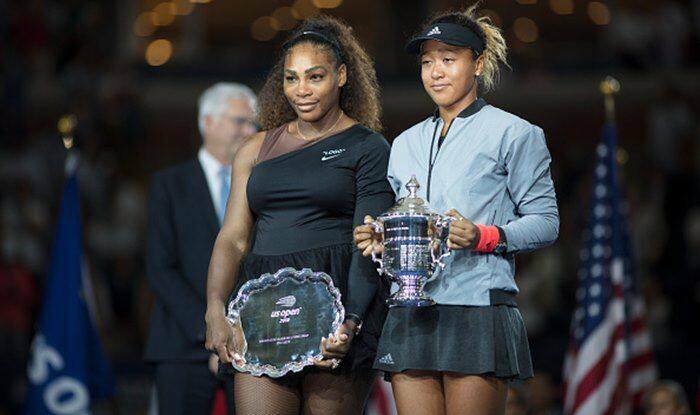 This contrasts with the massively experienced Williams who has made the last eight or better 11 times on her way to seven Australian Open crowns. The 37-year-old 23-time Grand Slam winner has a blockbuster last-16 evening clash against world number one Simona Halep on Rod Laver Arena, while Novak Djokovic meets fast-rising Daniil Medvedev. “I didn’t give up, she was playing really well and I wasn’t really sure what to do at a certain point, but I just tried to stick in there,” she said. The turning point was a marathon 16-minute game early in the deciding set that went to deuce 11 times as Keys chased a decisive break. But the American’s resolve crumbled when Svitolina held off five break points then gained an advantage in the next game. But top seed Halep is a much tougher assignment at a tournament blown wide open with the ousting of defending champion Caroline Wozniacki and second seed Angelique Kerber. Williams hasn’t faced a player ranked one since returning last year after giving birth. “I haven’t played the world number one since I’ve been back, I don’t think. So it will be good. I’ll be ready,” she said, adding that she was not dwelling on Court’s record. “I’ve been edging closer for probably like a decade now. I’m not even dealing with that right now.” French Open champion Halep struggled in her opening two matches, where she was extended to three sets in both, before finally hitting form to beat Serena’s sister Venus in round three. The winner will play either seventh seed Karolina Pliskova, who won the Brisbane International warm-up, or two-time major winner and 18th seed Garbine Muguruza. Whoever gets through that encounter will have a quarter-final against Japan’s eighth seed Kei Nishikori or Spain’s Pablo Carreno Busta. Meanwhile, fourth seed Alexander Zverev has his work cut out against big-serving Canadian Milos Raonic, with Croat Borna Coric or Frenchman Lucas Pouille awaiting the winner.